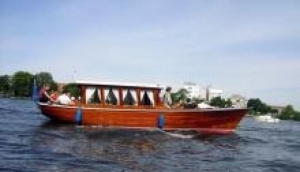 Berlin has various boat tours that travel down Berlin’s many waterways. Lasting various lengths of time and taking different routes up the river Spree and through Berlin’s many Canals you will get a unique perspective of Berlin from the water. On My Destination Berlin’s Boat Tours list you will be able to find tours in English and other languages, leaving their docks multiple times daily in the high season, a little less frequently as the weather gets cooler. By boat is a lovely way to see the city, floating down the river with a beverage and taking in the sights from your deck chair.